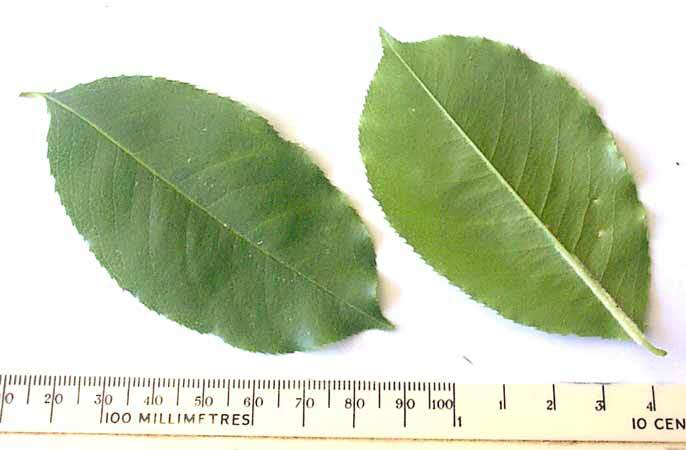 The light green leaves are alternate, 5-10 cm long, leathery and with small, sharp teeth on the margin. They are hairless except for tufts of hairs in the axils of the large veins beneath. 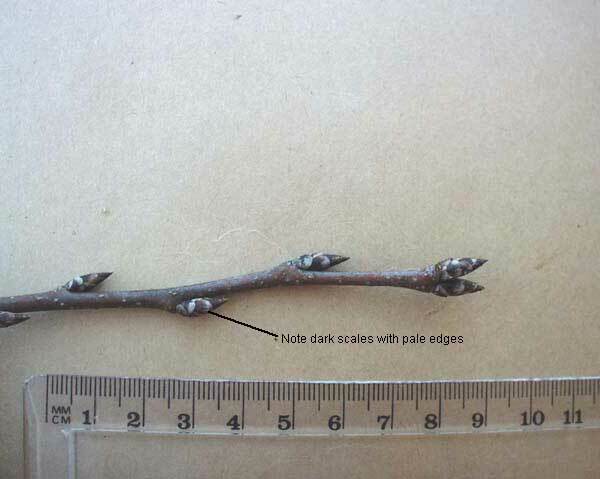 The leaf-stalks are 10-20 mm long, with a gland on each side at the leaf end. 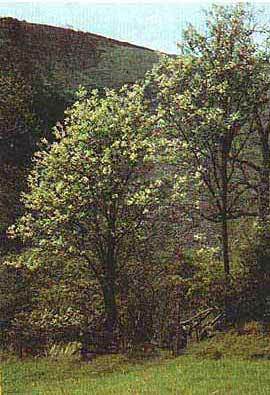 Bird cherry is a deciduous tree with a single trunk up to 9 m tall, with a brown bark which peels easily and is strong smelling. It grows on acid soils, in oak and birch woods and scrub up to 610 m above sea level. The flowers have 5 white, irregularly toothed petals. They open in May and hang in 10-40 flowered spikes. The flowers have a sickly almond scent. 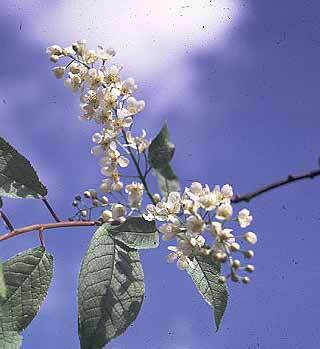 The flowers develop into small, black cherries 6-8 mm across, each containing a single, hard, oval stone. They are ripe in July. The sickly almond scented flowers attract many insects, particularly bees and flies. The fruits like small cherries, are rich in tannin, but despite their bitter taste, are eaten by birds, like robins and thrushes. 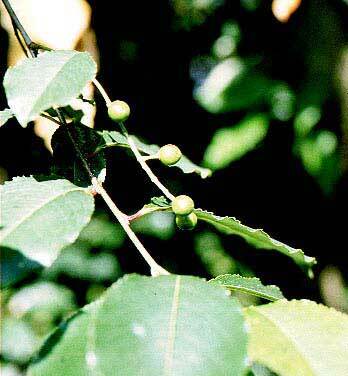 The bark was gathered in the Middle Ages to make an infusion used as a tonic and sedative for stomach pains.